Carol began her career in the staffing industry in 1991 as a Sales Representative for a staffing firm in Martinsville, VA. Within two years, she was promoted to Vice President of Sales and worked there until relocating to Charlotte, NC in 2003. Since moving to Charlotte, Carol has worked with a regional staffing firm and a national staffing firm as the east coast Sales Manager. She joined Goodwill in 2014 as the Director of GoodWork Staffing. During this time, she has been asked to conduct temporary staffing seminars for Goodwill International, and most recently was a speaker at GII’s Summer Conference held in Charlotte. Shortly after moving to Charlotte, NC, Carol was a recruiter for Samaritan’s Purse during Operation Christmas Child, where she had oversight in managing 300+ data entry specialists. Through that project, she realized that being part of a reputable nonprofit was the best way of giving back to those in need. She has also volunteered with the American Red Cross and Hospice. Prior to joining the staffing industry, Carol worked for the Social Security Administration for 10 years and was also a Certified Interior Designer. She received her Temporary Staffing Certification (CTS) in July 2005. 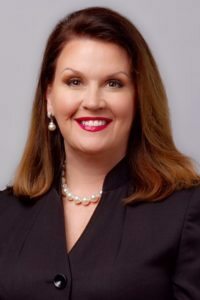 She has served on numerous boards and committees in Virginia and North Carolina, including serving as an officer and board member with the North Carolina Association of Staffing Professionals.